I’ve been thinking about this all morning… I don’t have any answers – actually just more questions… But the puzzle is how do I forgive those who voted in favor of stripping me of my marriage license? Over the past few days, and most recently this morning, i’ve been learning of people I went to school with, work with, and know in other circles that took steps to knowingly hurt me personally. And yes, it is personal, very personal. They claim that they did it ‘for the children’, or because of their religious beliefs, or ‘to protect the will of the people from “activist judges”‘ – but at the end of the day thats crap and many of them know it. They voted yesterday to say that their marriage and their rights are more important and valued than mine are and by doing that they sent a clear message that I’m less valuable and deserving than they are. Civil marriage isn’t about religion or children or voter’s rights. Its about civil rights and dignity and yesterday millions of people in our state, some of which I know, voted to strip me of both. So what do you do about that? Do you stop speaking to them? do you yell and scream and threaten them? Many believe that there is no changing these people and its not worth your breath even trying. The problem with that is the alternative is carrying that with me each day and with every interaction – because even if you stop talking to ‘friends’ who may have done this you will still come across them throughout your life. And if there is anything i’ve learned over my life is bottled up emotions come out at some point and often in very counter productive ways (believe me – i’m good at this part). I do know a few things though. I know that my relationship with and love for Kevin is every bit as valuable and worthy of respect and protection as any other couple. We have been together over 9 years and have experienced all the joys and sorrows that other couples have and then some. We have experienced christmases, birthdays, quiet nights infront of a fire, world travels, career troubles, arguments, death, and even cancer. And we have supported each other through every step of it and that will continue for a lifetime to come. I also know that the same religion and God that was used as a weapon to belittle and discriminate against me is also the one that will help see me through this. I know people see a contradiction here but I don’t. My grandma told me throughout my childhood and to this day that we are all created as the loving reflection of God and if you remember that and turn to Him for help in trying times that He will help you come together with others and heal. I also constantly remember the Golden Rule. So even if others don’t remember this I do and it helps me. Finally I know that, like so many other times in history, we will move beyond this. We are better than this and as people we learn and grow. Some times it takes years, decades, centuries but we do. Other communities have seen it. Jewish people have moved from a time of demonification, ridicule, and genocide to a day where we live in a society that relishes religious diversity. Women have moved from servitude and marginalization to a day where they are able to rise to their full potential whether that be CEO, College Professor, Mother, or Presidential Candidate. And African Americans have moved from slavery, bigotry, and segregation to a day where a black man can become President. And, if we take a deep breath and a step back we realize that the GLTB community has come a long way as well – I can walk down the street hand in hand with the person I love without fear of voilence, work in a place where they not only tolerate but celebrate who I am, and have family who fully supports me. So right now I’m angry.. and I’m hurt… and I’m going to have a hard time interacting with and respecting people who think I’m less of a human being and deserve less right and freedoms than they do. But I also know if I don’t learn to deal with these feelings and put them aside then I won’t be able to be a part of helping us grow as a society. 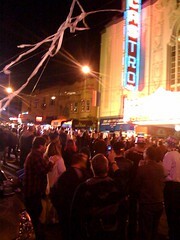 Obama party in the Castro!!!! Ok folks… so its only 10:45 but a lot of news has come in…. Unfortunately Prop 8 is winning right now but its far from time to give up hope… and, more importantly, we’ve seen the more important bigger change which is the country has put the right person in charge of the country. 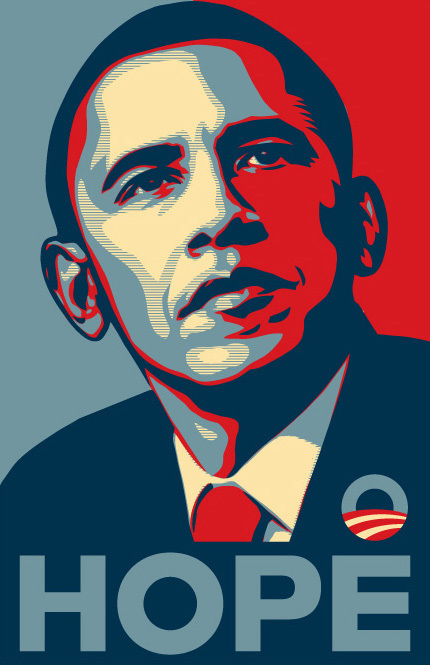 Obama’s speech tonight brought me to tears (and i NEVER EVER cry). There clearly is hope for tomorrow in this country and we can move on to the next fight. So while we may be loosing an important battle, we’ve already won the war…. So however Prop 8 turns out (and i’m not going to stay up to sweat out the chruning polls) we just need to look at where we are and figure out what we do next. If we don’t win this one then we need to step up and keep pushing for the next day and help people understand.. So what’s next people? lets make it happen!!!!! So it seems the yes on 8 folks have taken to blanketing neighborhoods with their signs.. My mother woke up this morning to find every yard in her Sacramento suburb neighborhood with a Yes on 8… *sigh*. Needless to say she was disgusted. I guess the next interesting test in her neighborhood will be how many people pull down the signs (and burn them). It really amazes me the ends people will go to see to it that I’m denied basic rights. I just hope that the No on 8 folks are acting with respect even when dealing with the other side cuz in my book the ends don’t justify the means. We gotta treat everyone with respect even when we disagree – after all, isn’t this what its all about?